I've just found out that Donald Duck: Quack Attack can be started via nGlide by copying the GliVd1vf.dll file (which was missing) in the "DLL" folder found in the game's directory. I took that file directly from the "DLL" folder from Rayman 2 (both of the games has the same graphics engine). Then I edited the ubi.ini file located in "C:\Windows\Ubisoft" and the game fires up with no problems. 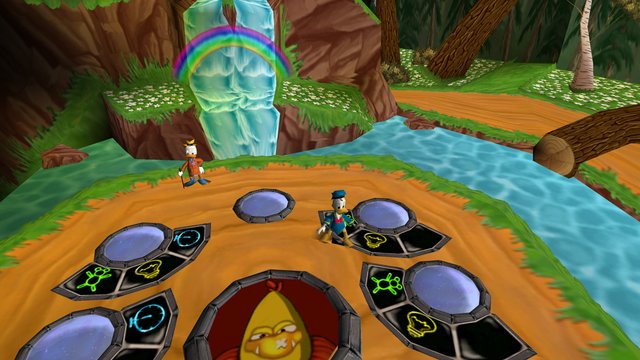 I can move the character inside Gyro Gearloose house (it's like a warp room Crash Bandicoot-alike), I can selected levels and such things, but when I start one, I can hear the music and sounds, I can walk with Donald, but I can't see nothing, just a static image of a sky that takes the whole screen. The sky image is different for every level. While the only level that loads correctly (that means I can regularly play it), it's the bonus level. Freezes (Voodoo2 SLI)/ ctds (nGlide 2.00) after the Disney Interactive logo. It's crashing because of the intro videos, you just need to delete them from the directory and it'll not crash. Wasn't this debunked in the past? 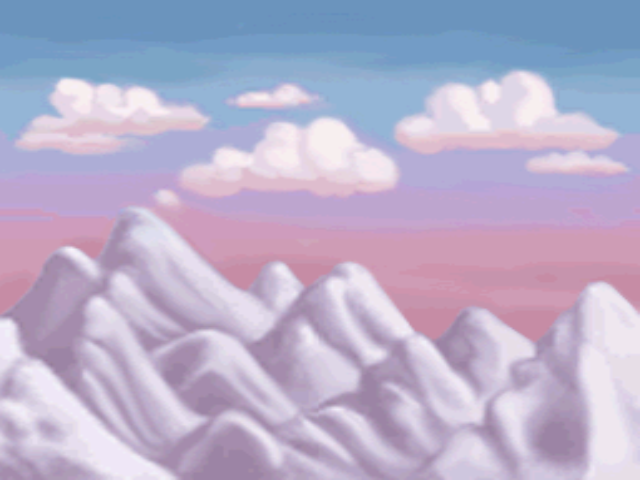 From what I remember GliVd1vf.dll from Rayman 2 even though it allows to run the game in Glide mode isn't 100% compatible with it.. and is directly a reason why the scene (except a skybox) is invisible. Have renamed Ubi400x300.avi and introGame.avi. The result - same as in the 1st post. Voodoo2 SLI and nGlide 2.00. Unpatched and patched GliVD1vf.dll. IMHO - the case is closed. Rayman 2 renderer isn't compatible with this game.